﻿ Coinage In The Dark Ages? Was There A Coinage During The Dark Ages? It is perhaps best to start by defining exactly what is meant by the term Dark Ages. It is easy to feel, as we look back at the period following the withdrawal of the Roman legions from Britain, that the problems this created were something unique to our island. Far from it; Britain simply suffered the same fate as other Roman provinces: Dacia in the 3rd century and Gaul, Spain and the Alpine and Balkan districts in the 4th and 5th centuries. We use the word dark to reflect the fact that little in the way of accurately recorded history exists, from the time of the legions’ withdrawal to the settlement of the Saxon hordes, nearly 150 years later.  We use the word dark because this period heralded a complete breakdown in social order and administration. And dark because this was a period of continuing strife and warfare - and, just when it seemed that things couldn’t get much worse…dark because the climate took a downturn with temperatures dropping as much as 1.5 degrees Centigrade, with an increase in rainfall by over 10% over the first fifty years of the period. So, when and why exactly did all this come about? In the year AD 406 the river Rhine froze over and some 15,000 Germanic tribesmen, together with wives and children, crossed into Roman Gaul. At the same time Italy, too, was threatened by barbarian incursions, and the crack legions had been brought back to the homeland from the frontiers several years before. This left only mercenary troops to defend the outlying Roman provinces of western and north-western Europe. In this same year a succession of usurpers were proclaimed emperor in Britain - the third of these was a common soldier who gloried in the name of Constantine III. He soon crossed with his army into Gaul to fight the barbarian invaders there, only to leave Britain poorly defended and suffering devastating raids by Picts, Scots and Saxons. There was further devastation in AD 410 when the legitimate emperor Honorius withdrew all his remaining troops from the island, and wrote to the citizens of Britain directing them to ‘look to their own defence.’ This rescript traditionally marks the end of Roman rule in Britain and the beginning of what we call the Dark Ages. Although the accuracy and impartiality of those few whose chronicles have come down to us must always be open to doubt, it is possible, by cross referencing and editing out myth, folklore and political bias, to get a reasonably clear picture of what was going on in the Post-Roman / Pre-Saxon period of our history. But it helps to understand who were the chroniclers and historians during this bleak period. Roman historians have little to say about the post-imperial fate of Britain, and continental writers of the time tend to dismiss the whole sorry episode with a line or two. The only written accounts for events in Britain itself come, firstly, from contemporary, or near contemporary sources; those which rely on good primary sources and traditions. Next are those authors who, being far removed from the time in question, are dependent on garbled and unreliable traditions, and finally come mediaeval writers of folklore and fiction. The bulk of reliable information comes from the writings of the British monk, Gildas, who, sometime before AD 547, wrote a book De Excido Britanniae (The Destruction of Britain) which was a history of the island from the time of the Roman conquest to his own day. He also wrote a much longer work The Epistle in which he severely rebuked his countrymen for their sins, and for their lack of unity and downright cowardice in the face of danger. The first of these works The Destruction of Britain is the only account to have survived which was written by a Briton. Nevertheless, by the time this author died in AD 570 the British had been holding out against the Saxon invaders for over 150 years. The next of the most reliable sources are The Welsh Annals and The Chronicle of the Princes of Wales. The Welsh Annals or Annales Cambriae are known from a number of copies but the original master copy, although in eleventh century script, certainly accurately represents the original text. The first entry is for AD 444. After this there are 23 blank years and the manuscript ends in AD 977. Another very readable source is the writings of Nennius – a Welsh monk. This chronicler, writing in the late ninth century, tries to put together a coherent history of the past in his book Historia Britonum (History of the Britons) unlike others who simply give a year by year account. Much of his earlier evidence is secondary and even tertiary, but his work is nevertheless based on the sound primary sources of others and its interpretation of events and facts is well thought out. Other sources such as the Anglo-Saxon Chronicle, Bede’s Ecclesiastical History and Asser’s Life of Alfred are useful for a primary account of early Saxon history but all borrow heavily from previous authors in referring to the history of the Dark Ages. Finally, medieval chroniclers such as William of Malmesbury, and Geoffrey of Monmouth, delve too much into the world of fantasy and folklore to be reliable. Of course, Malory’s Morte d’Arthur is pure fiction with only the slightest thread of fact woven to enhance and complement an otherwise cracking good story! It isn’t possible to summarise the Dark Ages as a single period. As successive waves of immigrants arrived, and became more or less assimilated, their situation and plight changed with each passing decade. In the years immediately following the Roman legions’ withdrawal life for most people probably went on much as before. Towns continued to function as, although the military had pulled out, the Romano-British civilian administration remained intact. There would certainly have been shortages brought about by the gradual reduction of trade with Europe, especially in those luxury goods for which the Romano-British elite had developed a taste. There would have been uncertainty about what the future held and unease as to the security situation and general law and order. Indeed there was a steady drift of population to areas of refuge in the west, in particular the marches and hills of Wales – just as the Iron Age peoples had done when the Romans first invaded. It is therefore not surprising that much of the writing was done by Welshmen. Then, as the decades of the fifth century moved on and barbarian raids increased, the rule-of-law, and central and regional government, began a downward slide. Trade with Europe slowed, then ceased almost completely and raw materials such as metals were in short supply. By the middle of the fifth century no new coin supplies had been received for nearly fifty years. Then things got worse. By the beginning of the sixth century the infrastructure of the country had broken down completely, government as such didn’t exist, anarchy ruled and famine and bloodshed were commonplace. This, then, was the ‘darkest’ of the Dark Ages. The last Roman coins to be struck in Britain were gold solidii and silver siliquae of the emperor Magnus Maximus (AD 383-388) which come from the mint of London, then known as ‘Augusta.’ Following the ending of minting in Britain, supplies of fresh coin had been regularly shipped over from mints in Gaul and the east. The last coins to reach Britain in any quantity were those of Theodosius I and his sons, Arcadius and Honorius. It is safe to say that somewhere around AD 412 there was a break in regular communications between Britain and the continent. Coins of any Roman Emperor, of West or East, later than Honorius occur only sporadically in Britain. Because of the barbarian invasions, coinage in the West of the Empire was, in any case, rather scanty after about AD 400. But the story is not one of total isolation. The coin evidence from the AD 1997 Patching, Sussex, hoard indicates that sporadic trade with Europe was still going on as late as the 460s. Certainly the Chroniclers record several cases of travel to and from the mainland. The presence of Visigothic gold of the emperor Valentinian III (AD 425-455) and silver issues of Majorian (AD 457-461) and Severus III (AD 461-465) take the deposition date of this hoard to possibly as late as AD 470, a full sixty years into what we have called the Dark Ages. So, Britain still had some sort of coin economy going well into the fifth century. Coin from Europe was still trickling in through occasional trade – albeit in minute volumes. 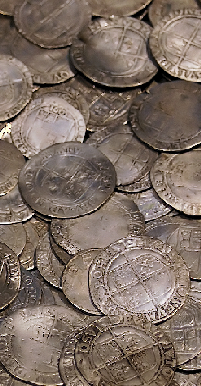 However, there is also the possibility that the Patching hoard represents booty buried by one of the many Teutonic raiders, in which case it would not be truly representative of a late fifth century British moneyed economy. On many British sites the Roman series is continuous down to Honorius, whereas on others, especially in the extreme north of England, it can break off much earlier; for example at Gratian (AD 367-383) This phenomenon is known as ‘coin drift’ in which the circulation of new issues, and in some cases even the knowledge that there was a new emperor, could take many years to reach outlying areas of the Empire. Of course if the principle of ‘coin drift’ is applied to money after 412 then it could be argued that certain areas would have noticed the bite of coin shortage far later than others. Just how long money continued to be used is guesswork. It probably went on into the very early years of the sixth century. By then, with nothing to buy, no taxes to pay, no business to conduct and society in disarray, money as such would have had little meaning. Survival itself would have been difficult enough. This situation persisted until nearly the end of the sixth century when a chink of light finally appeared, with renewed political and commercial links being forged with the Merovingian Franks, and a trickle of Merovingian gold tremisses began to appear in Britain through cross channel trade. These tremisses (one third of a Roman gold solidus) were followed by a native Anglo-Saxon gold thrymsa in about the 630s. By the middle of the seventh century the gold coinage was being increasingly debased with silver – finally giving way to a purely silver coinage of Saxon sceattas by about AD 675. So, what happened to coinage between the years 410 and 600 – a period of approximately 190 years? It is easy for us to imagine the Romano-British population as being an oppressed community of neo-Celts living their daily lives under the yoke of Roman occupation. But by the time the Romans left the province in AD 410 they had governed the island for 367 years. To put this into modern terms, it is the length of time from the start of the English Civil War in about AD 1640 to now! Or, in America, in roughly the same span of time, the descendants of the Pilgrim Fathers have changed from dissident English to people who would hardly now regard themselves as anything other than pure American. In such a length of time, some fourteen generations had been slowly but thoroughly Romanised. Their cultural origins would have been bred out through cross marriages, political indoctrination and simply fading memories. Of course Celtic traditions lived on in the more remote areas of Wales, in Cornwall and in Scotland but, generally speaking, the population of what is now England had become totally Roman. By the fifth century, life would have been conducted in the Roman way. Latin was the language of the courts, big business and the elite of the community. Just as Celtic traditions took a number of generations to melt after the initial Roman invasion of AD 43 so the Roman way of life would have persisted well into the fifth century and beyond. Apart from the many benefits Romanisation had brought – which could fall under the caption "...and what did the Romans ever do for us?" - the one thing which had proved to be the powerhouse of the Roman Empire was wealth and, apart from land, wealth equalled money, and money was coin and a continuous supply of it in every-day use. History has proved time and time again that when money is in short supply – the people turn to a token or obsidional coinage, no matter how base, rather than do without money as a medium of exchange completely. This has been demonstrated by siege coinages, lead tokens, brass farthings and merchants’ tokens over the millennia. The question is then twofold. It is beyond doubt that towards the end of the Dark Age period money certainly ceased to be used – but for how long? Then, if money or coin was used, at least throughout part of the Dark Ages, what form did it take? And can it be identified as such? Good Roman coinage would certainly have lasted, albeit in short supply, for quite a few decades following AD 410, slowly wearing down in much the same way as worn Victorian pennies were accepted as legal tender right up to the early 1970s. However, the fundamental difference was that the twentieth century pre-decimal coinage in circulation was constantly being topped up by the introduction of new coins. What would have happened if the Royal Mint had stopped issuing coins? And, what if this decision was concurrent with a spate of panic coin hoarding? Gresham’s Law of ‘bad money drives out good’ would have certainly applied. What reasonable coin was still in circulation would have been quickly snatched and buried for safe keeping in the hope that better times would be round the corner. This action would have left only a base metal coinage with varying degrees of wear to supply the needs of commerce and the necessities of daily life. How long such a state of affairs could prevail must be open to speculation, but a guess would be seven or eight decades at the most. The famous Hoxne Treasure was buried some time before AD 450, long after the legions had left, and yet it contained a large savings accumulation of gold and silver coins. Interestingly, many of the silver siliquae had been trimmed right down to the portrait and others were forgeries presumably made from the trimmings (?) An analysis of the Hoxne material has shown that at least 80% of the siliquae were clipped in this way, and some 178 siliquae out of a total of 14,205 in the hoard are forgeries. A recent hoard of 870 siliquae found at Whitewell, Leicestershire contained 42 such forgeries, some of which are from the same dies as forgeries from the Hoxne hoard. Hoards of silver siliquae are, surprisingly, only found in Britain and Romania, although the coins were struck at mints all over the Empire. Interestingly, the clipped siliqua on average weighs the same as the earliest Primary series sceatta of the Anglo-Saxon coinage of the 670s (i.e. 1.1 grammes). Is this coincidence, or are there other conclusions which can be drawn from this? I’m sure many theories will be proffered! The practice of clipping away as much as half of the original coin could only have taken place so openly after the end of Roman rule in Britain; furthermore the occurrence of such clipped siliquae is peculiar to Britain. The clipping would certainly have stretched the metal supply, either legally or illegally and, in the fullness of time, the clipped coins would have been accepted as the standard. Who knows? What then are the contenders for Dark Ages coinage? Coin issues of the late fourth/early fifth century emperors would have stayed in circulation for quite some time, gradually wearing down. Silver coins were not the only specie to suffer from clipping during the period in question. The supply of bronze had all but completely dried up and make-do-and-mend must have been the order of the day. Even coins of bygone eras, well out of living memory, if found were trimmed and put back in circulation. If the coinage had become purely ‘token’ then one coin could easily be transformed into three, four or even more parts, possibly each with the original purchasing power. The photographs of the unclipped centenionalis of Magnentius (AD 350-353) the clipped standard coin, and two cut fragments interestingly both showing an ‘ear,' demonstrate how a single coin could be divided into many units. This next coin, although clearly based on the issues of the later fourth century, is almost Saxon in its appearance and may well date from later in the period. The use of the FEL TEMP REPARATIO type, with its optimistic legend, might have deliberately echoed a forlorn hope that things would someday improve. These imitative copies hark back to the glory days of the Roman province and would have been images, no matter how crude, that a few people would remember. As the situation in Britain deteriorated so, possibly, did the use and appearance of coin. Even the most barbarous of copies seem to have seen so much circulation that they have been worn almost smooth. Later still, as even the token worth of a base metal coin was to become meaningless with the declining monetarisation of life, it seemed that not only did design not matter, even the size and condition were seemingly unimportant. This fifth century bronze minim shows just how many coins could be made from one original AE3 or follis. It’s hard for us to imagine using such tiny base coins as currency, but if there’s nothing else to hand, and everyone you know is doing the same, then you have to adapt and the absurd becomes the norm. 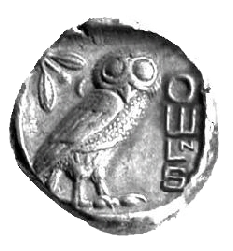 The unofficial copying of Roman coins in circulation had been known throughout the period of occupation and was always hard for the authorities to control. But without any authority to enforce rules or standards, the acceptability of genuine or copy coins would have been much the same. Right from the beginning, through the third century, and presumably through the Dark Ages period, these copies presumably circulated alongside official issues, in much the same way as 18th century copper halfpennies did. Is it possible to draw any firm conclusions from the evidence and suggestions? Harold Mattingly thought possibly not. He argued that the use of coinage probably died out within a few decades of the Romans legions leaving. Others have, I feel more reasonably, argued that coinage in whatever debased or hardly recognisable form continued well beyond the end of the fifth century and possibly into the sixth, only being totally abandoned when money as such ceased to have any relevance to every day life. Finds of many hundreds of base barbarous coins have been found during excavations at house sites in a mid 6th century settlement around Richborough. The coins were scattered in a way that would indicate disposal rather than loss or concealment. Perhaps, as suggested, they had ceased to have any meaning as units of exchange. If so, this theory would mean that a complete numismatic void of at least some 80 years existed before the slow introduction and acceptance of Anglo-Saxon currency. Like the Iron Age Celts had melted into the Roman mould, so the Romano-British would have slowly, through the eight or so generations since the Romans left, become Romano-Saxon, and so on until the whole cycle was destined to repeat itself with the coming of the Normans 400 years in the future. As a final footnote; the similarity in style between certain barbarous copies of Roman issues, and the earliest gold thrymsas and sceattas, can not have gone un-noticed. Yet the numismatic world steadfastly refuses to accept any sort of link between the two, mainly on the basis of lack of hoard evidence, the time gap between the two issues, and the background cultural differences. Personally, I feel that the stylistic similarities could have been intentional on the part of the Saxon issuing authority, rather than coincidental. What better way to introduce, and have accepted, a new coin or indeed the new concept of ‘money’ to a weary, wary and probably mistrusting indigenous population, than to imitate characteristics that were still possibly held in living memory by a few. Unfortunately, it is most unlikely that any additional supporting written evidence will come to light in the future. Nor is it likely that hoards will turn up to show a definite link, or the contrary. Base metal copies did not tend to be hoarded unless part of a mix of sound issues. Most finds of 4th/5th century barbarous issues are singletons, casual losses, or, as stated, abandonments. On this rather dull and negative note I conclude. But, after all, it was the ‘Dark Ages’! Ancient Britain Coinage In Roman Britain Divo Claudio Brockage Coinage In The Dark Ages? Gold Solidus in the name of Emperor Valentinian III. Clipped Siliqua of the Emperor Arcadius; the mint is quite uncertain, the mark having been completely clipped away.